California will cease issuing and extending temporary state licenses necessary to operate legally on December 31, 2018. Although provisional licenses will be available to carry operations through 2019, a temporary license is necessary to qualify for a provisional license. Cultivators will need to file for a temporary license by December 1, 2018 and all other operators will need to file by December 14, 2018. 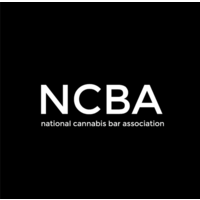 As such, we have drafted a sample letter the public is welcome to use to send to their local officials urging them to enact emergency ordinances or resolutions that will provide applicants the ability to secure conditional local approval needed to obtain a state temporary license before December 2018 to ensure commercial cannabis businesses stuck in the local approval process are able to operate in 2019. Nothing herein is designed or intended to constitute legal advice. This is an advocacy issue. Each time Regulations are Enacted in the State of California, we have the opportunity to submit public comments. See below for our comments and communications with various state regulating authorities. In response to Jeff Sessions’ decision to repeal the Cole Memo, we sent a letter to Sen. Feinstein, who is the Democratic Ranking Member on the House Judiciary Committee, urging her to block all future Attorney General appointments made by Jeff Sessions. You can read the full text of our letter here. Response to Emergency Regulations for Commercial Cannabis Cultivators submitted to Department of Food & Agriculture – CalCannabis.